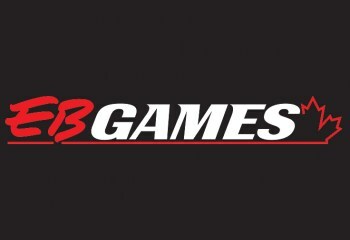 A rumor's going 'round that EB Games in Canada is doing away with its stand-alone preowed games section and will instead mixed used with new, with new games hidden under used copies. It's an entirely unconfirmed rumor at this point but "internal documents" obtained by Kotaku would seem to indicate that EB Games in Canada [which is owned by GameStop] is doing away with separate pre-owned games sections. Instead, all the games will be kept together and pre-owned games will be priced with the same standard stickers as new games, rather than the distinctive yellow stickers with which they're currently adorned. That in itself doesn't sound too terribly awful, aside from the obvious potential for confusion, but according to the insider employee there's a bit more to it than just that. He claims that stores have been told to ditch all signage advertising used games and to place used copies of games on top of new ones on the shelves. That won't affect those of us who are aware of the difference between new and used and know which we want, but it doesn't take a genius to figure out what's going to happen when sweet Aunt Petunia goes in to pick up a copy of Saints Row the Third for her favorite little snookums. all price stickers to the white ones. They also instructed us to discard all materials advertising used games. Now the stickers do have the words NEW or USED on them but no one looks at that." While I certainly don't mean to suggest that such sleazy behavior couldn't happen, I do feel compelled to put forward an alternate theory. Most, if not all, EB Games outlets in Canada are switching over to the GameStop brand, a process which means new signage and, sooner or later, a hell of a mess when the trigger is finally pulled. As someone who's done this dance a few times over the years, I wouldn't be at all surprised if stores were being told to condense sections to accommodate the changeover, even if the timing is a little suspect. It's quite possible that the reports are accurate, yet not nearly as sinister as they sound. Any EB/GameStop Canada employees out there who can offer some insight on this? Feel free to drop me a line and fill in the blanks. In the meantime, consider yourself warned: pay attention to what you're doing if you're doing it at EB.